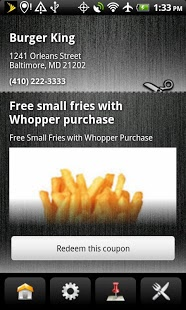 This application has been created by RewardTrail and NCLUSIVE, inc., specifically for Burger King locations in Western Maryland and Southern Pennsylvania (Harrisburg, Shippensburg, and Gettysburg). More regions are being added every month! With the Burger King Rewards App you can order online through your mobile phone at participating nearby locations and skip the lines. Use this feature to save time during the lunch and dinner rush! Scan QR Codes to track and log your visits. Once you’ve visited a designated amount of times you’ll be able to redeem your loyalty reward. 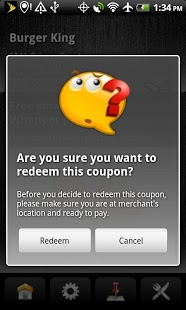 Once you’ve scanned and joined Burger King’s loyal customer database, on occasion, you’ll received unique offers and discounts only sent to Burger King’s most loyal customers. 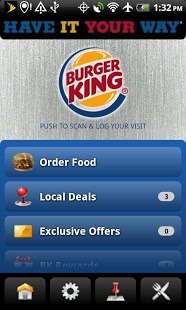 Log onto the app to see exclusive local deals being offered from Burger King locations near you. Redeem these deals right from your phone and save without the use of paper coupons! If you’re a franchisee interested in offering this mobile app within your locations, please contact us at sales@BKRewardsApp.com.